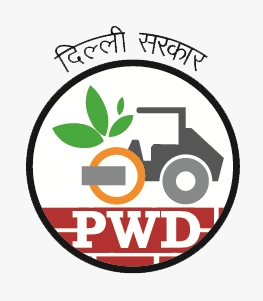 Although PWD is a service Department, it does not serve individual member of public, since the projects and schemes of PWD are planned with a macro perspective i.e. from the point of view of the society as a whole. However, since the general public is the beneficiary of the projects of PWD, there exists a mechanism for redressal of public grievance. Q. Who can lodge a complaint ? Ans. Any member of public can lodge a complaint or give a suggestion by means of a simple letteror using Online Complaint System. Q. Where and to whom should the complaint be lodged ? Ans. The letter raising a complaint or grievance may be sent, by post or personally, to the concerned PWD Executive Engineer or Superintending Engineer at the address given in the Citizen's Charter. Public may alsodraw attention towards a particular problem over telephone at a number given in the PWD Directory. Q. What are the matters about which complaints may be made? Ans. Any member of public may seek redressal of complaints pertaining to the following matters. 1. Construction, repairs and maintenance of a road, flyover, bridge etc. falling in the jurisdiction of PWD. 2. Construction of pedestrian subways, under pass, walk over bridge etc. and proper up keep and maintenance of existing subways etc. on PWD roads. 3. Initiating action for removal of encroachments on PWD roads/buildings through the Distt. Task Force. 4. Horticultural development of roads, flyovers buildings, bridges etc. of PWD. 5. Installation and proper maintenance of street lights on PWD roads through DVB. Q. How long PWD will take to redress a problem/complaint ? Ans. Normally, the complainant should get a response in 15 days and the necessary action should be done within 30 days. Q. What should the complainant do if PWD fails to take the necessary action within 30 days ? Ans. In such a case the complainant should bring the matter to the notice of the Chief Engineer of the concerned PWD Zone or to the O/OEngineer-in-Chief(PWD) at 12th Floor, MSO Building, I. P. Estate, NewDelhi.